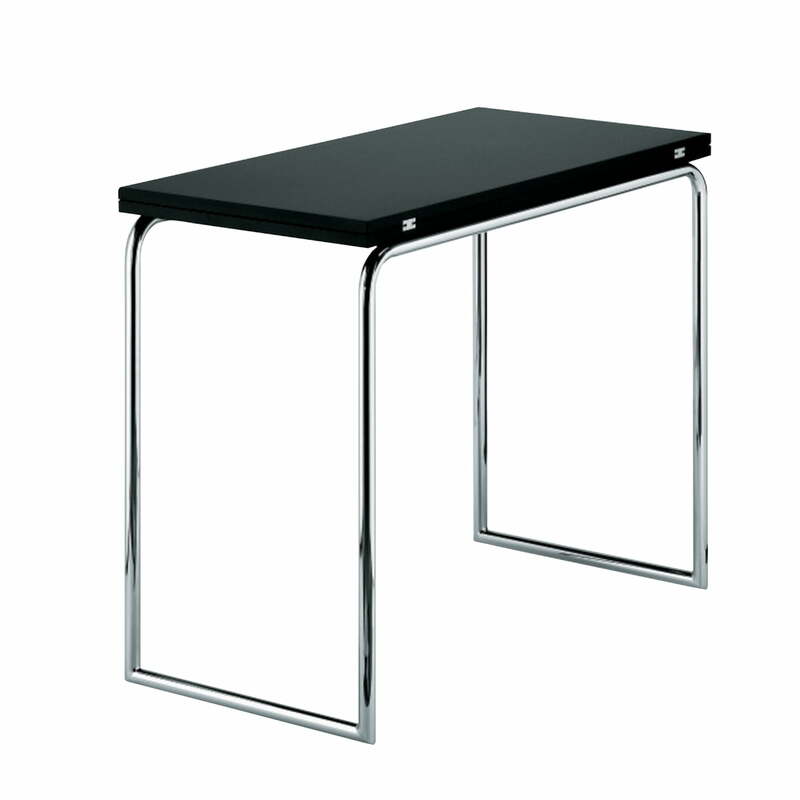 The B 109 by Thonet is a console and foldable table that was designed in the 1930s. Designed at a time when living space was much smaller than it is today, the B 109 stood for innovative furniture design with a timeless style. 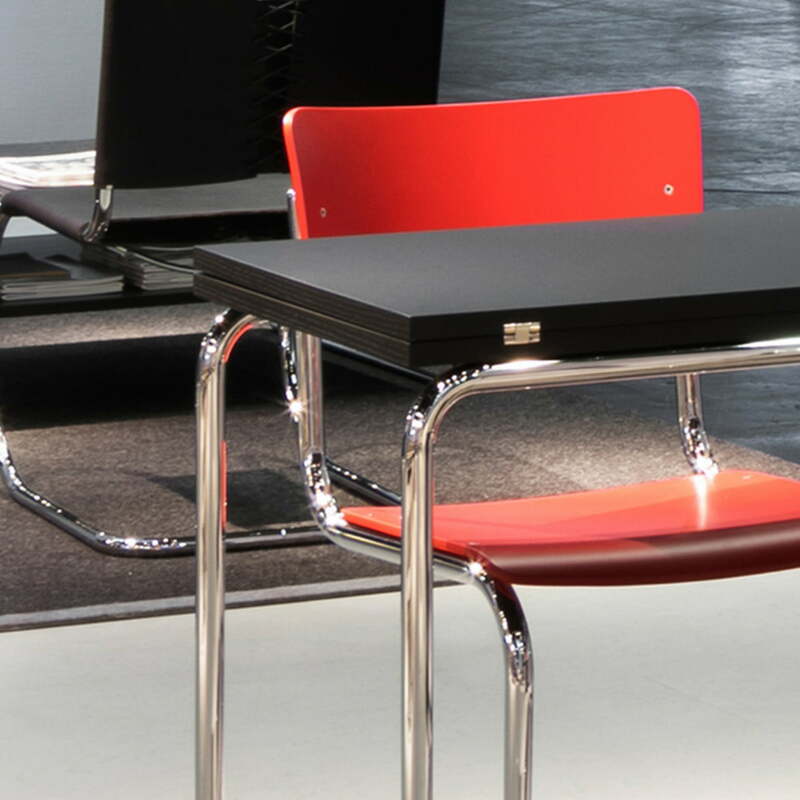 The practical folding table B 109 consists of a curved frame made from chromed tubular steel and a folding tabletop in lacquered MDF, which is available in various colours. The console adapts to any environment. When folded out, the B 109 can be used as a console against the wall in the hallway, living room, dining room or office. For more space, the panel can be turned, unfolded and locked in place. The result is a table with a 90 x 90 cm tabletop that can be used to work on or serve food. 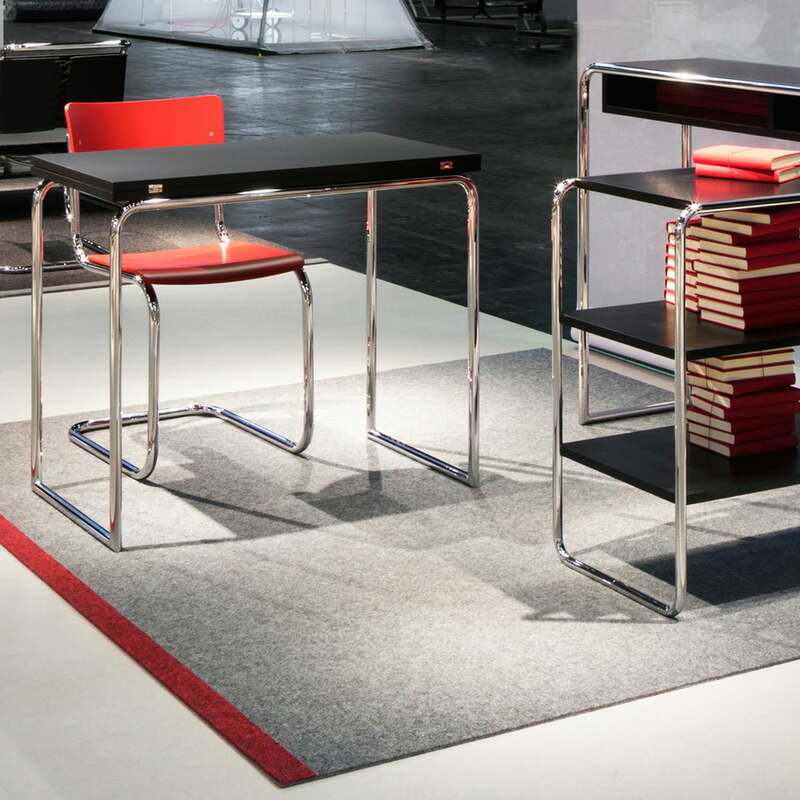 The practical folding table B 109 consists of a curved frame made from chromed tubular steel and a folding table top in lacquered MDF, which is available in various colours. 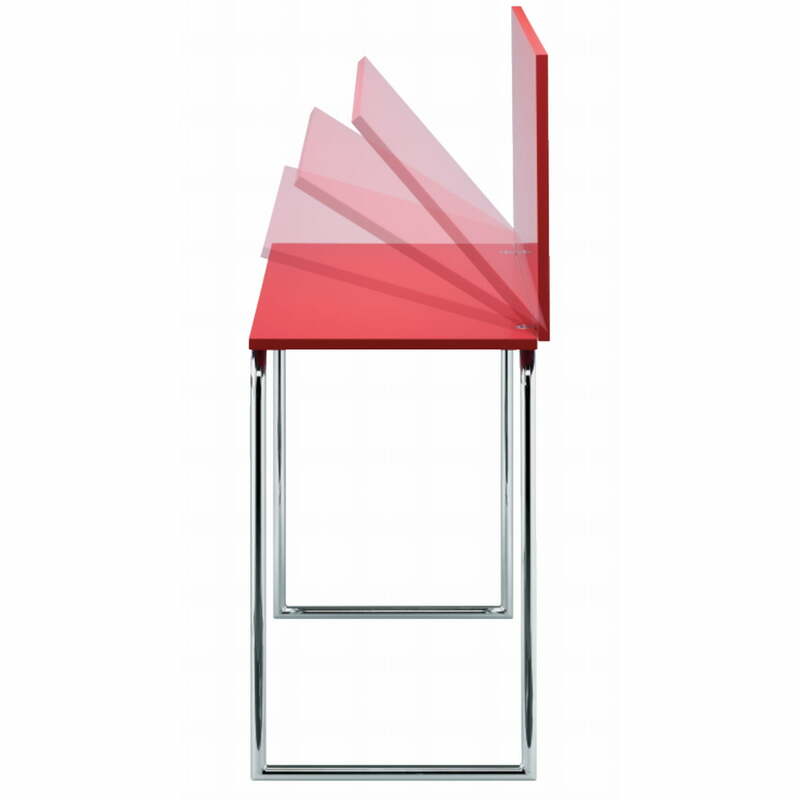 Animate and functional product image of the practical B 109 folding table by Thonet. For more space, the panel can be turned, unfolded and locked in place. TIsolated product image of the foldable B 109 table by Thonet: The result is a table with a 90 x 90 cm tabletop that can be used to work on or serve food. 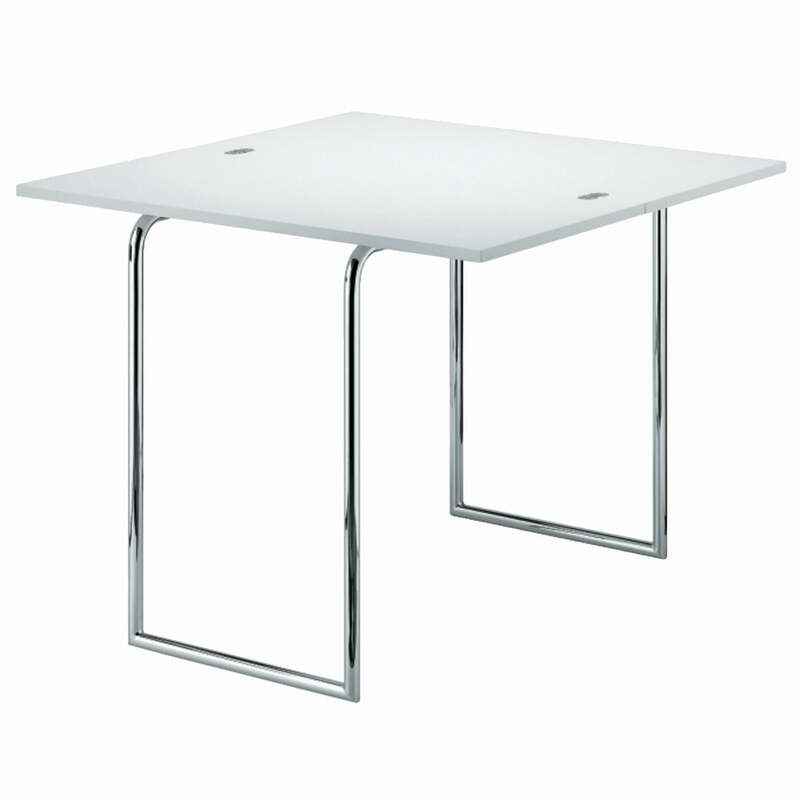 Lifestyle product image of the side table 109 by Thonet. When folded out, the B 109 can be used as a console on the wall in the hallway, living room, dining room or office.